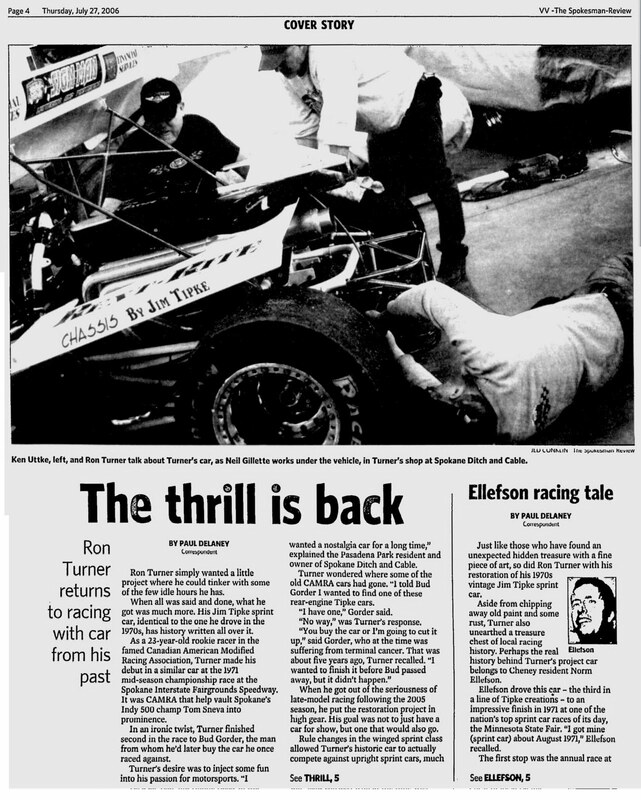 This is now being announced across Canada, Norm Ellefson is one of seven inductees into the Canadian Motorsport Hall of Fame. Go to Norris MacDonald's blog for more information. Norm was CAMRA champ for 1966, 1967 and 1969. 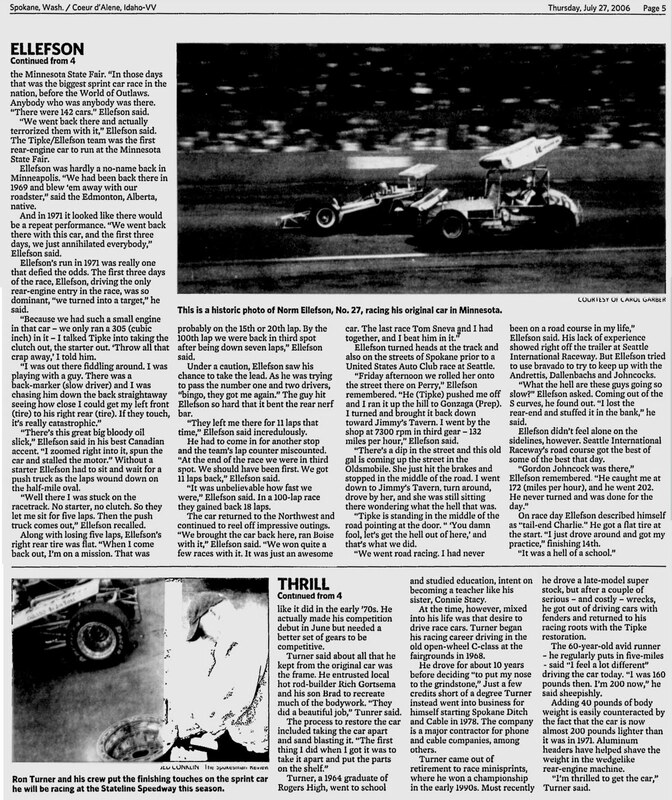 He also drove to victory at the Minnesota State Fair in 1969. He won numerous big races over the years including the Gold Cup and Matan Memorial at Edmonton, the Copper Cup in Salt Lake City, the Billy Foster Memorial in Victoria. 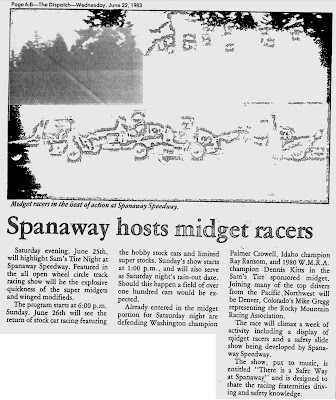 The clipping is from PGARA Speedway in Prince George. Norm got his start in racing at Springbank Speedway in Calgary in the early 1950s and was still driving a car in the late 1990s at Spokane Raceway Park. 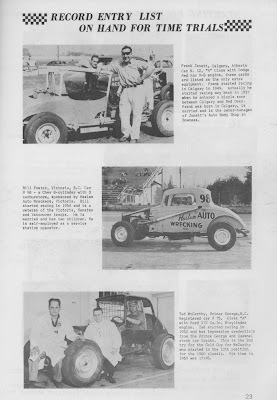 He drove the old stock cars, super modifieds, super stocks, and NASCAR Grand Nationals all to great success. He is a deserving entry to the CMHF. And this is a good way to close out the year. Happy New Year to Norm and everyone out there. Was given a Christmas present of the Kelowna history book this year. 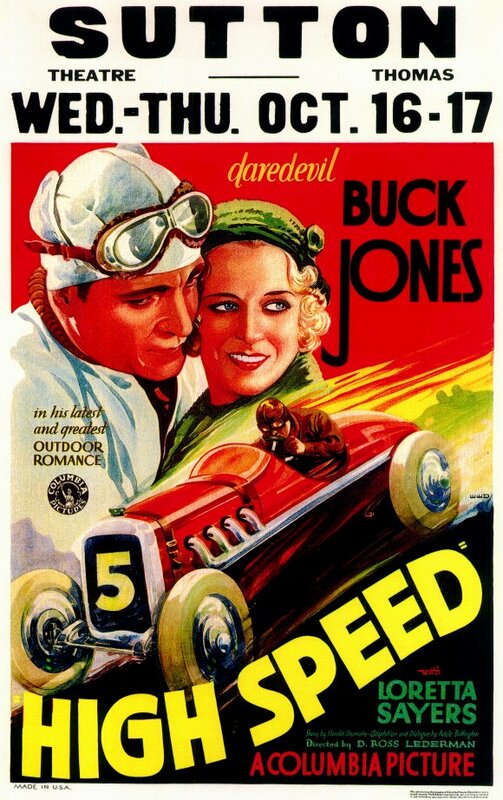 The only motorsport reference that I've found so far is of the Regatta. No hill climb or Billy Foster Speedway or Knox Mountain Speedway, let alone Kel-Win Speedway. 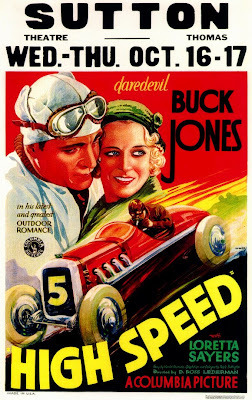 Art Jones was a big deal in hydroplane racing and here's some 1953 clippings to prove that. 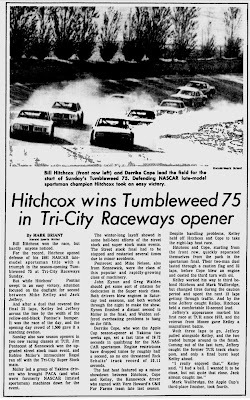 Interesting to see names like BC Sports Hall of Famer Jim Hutchison and former Spokane midget racer Tommy Close in the results. 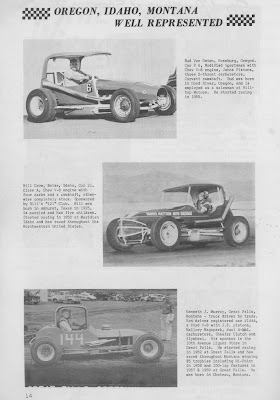 further information on the "Vacuum Cleaner"
Thanks to Marty Kobata's comment in the previous post on Bay View we have this link to rear engine dragsters. 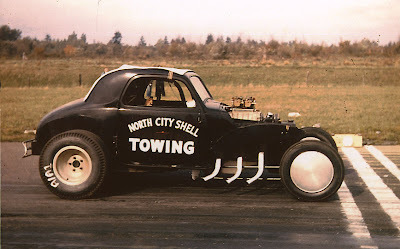 And from there another link to the "Vacuum Cleaner" dragster from Seattle. Of course, you know I'll save it all just in case everything gets deleted. I'd love to get more information on this and other drag strips from the early days. 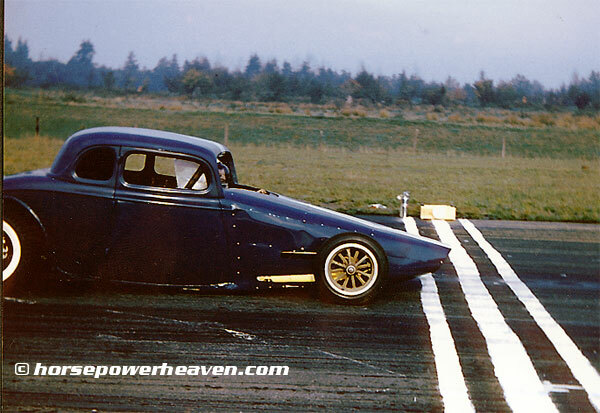 The top car is said to have something to do with Seattle's Jim Green, a name that has a lot of motorsport history in the Pacific northwest. 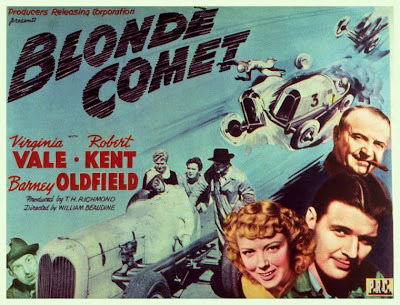 Again please and thank you to Larry Pfister and the old horsepowerheaven website. Some sent a comment about a previous posting on Bay View. Said motorcyclists Dayton MacKenzie and Terry Rea used to beat the cars regularly. I noted the link to the old horsepowerheaven website was dead. 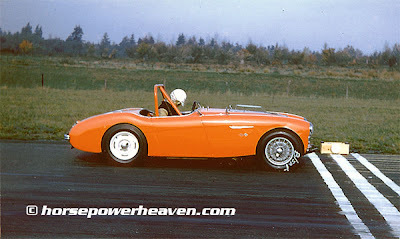 So with apologies (and please and thank you to Larry Pfister) here are some of the photos that were on that site. 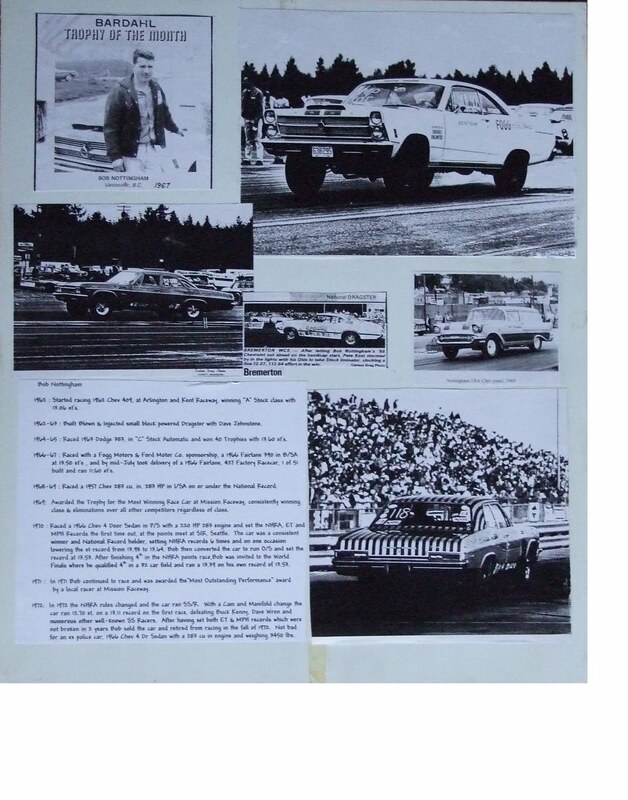 The second photo might be of Sandy Lovelace, the namesake of the Memorial award given each year for those who preserve the history of motorsport in the Greater Vancouver area. At least, that's what information I was given a few years back. One of those Tipke super modifieds was restored a few years back. 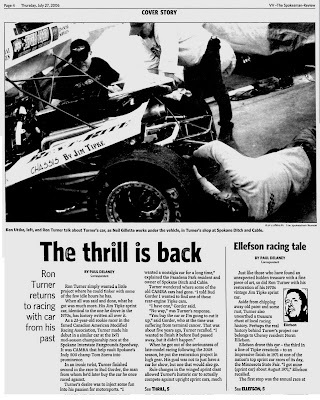 Norm Ellefson adds some information to the story. 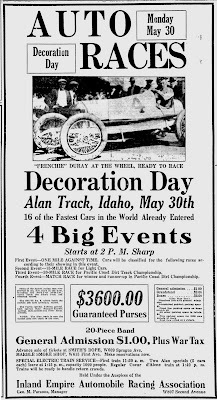 It would be wonderful to find out that the photos from the 1921 races in Spokane were saved, negatives or whatever. Important stuff. 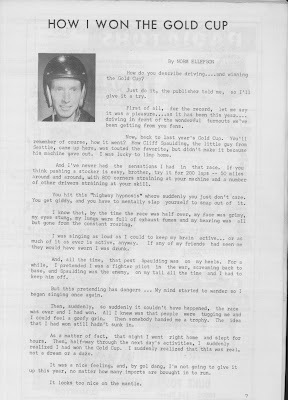 Interesting the late edition, or was it the early edition, concerning "LATTA!" He finished third. Big headline for a third place. 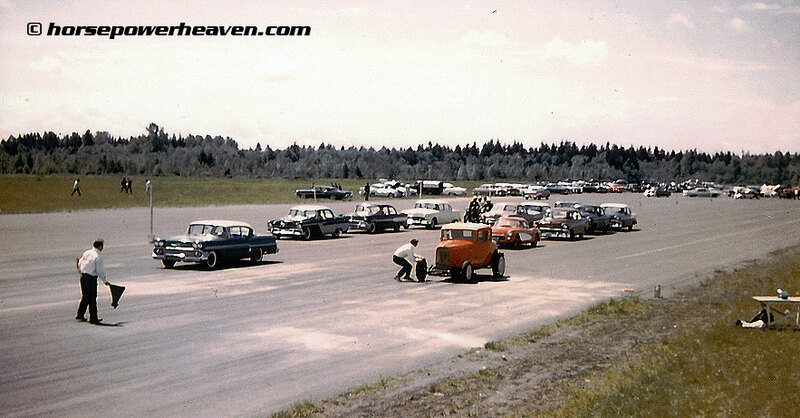 Many of these drivers came to Vancouver's Hastings Park during this era. 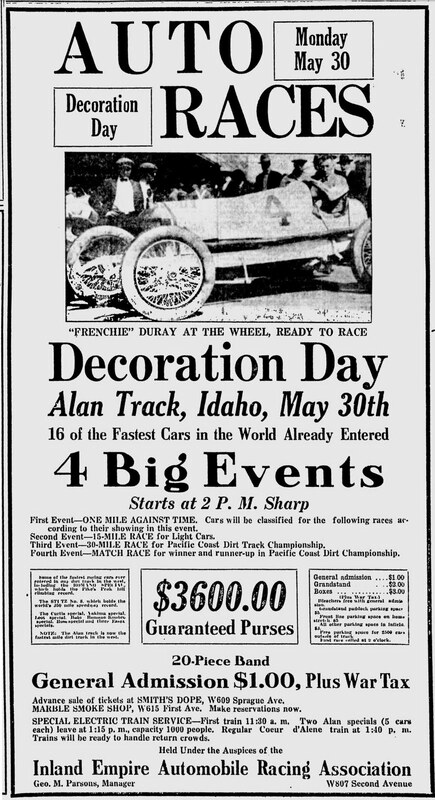 From Spokane, and part of the fair, but I can't seem to find anything on what was advertised as a second day of racing. Don't think I've posted much on Spokane. Maybe a bit, but not this surely. Seems hard to believe that 1983 is old. But it is. 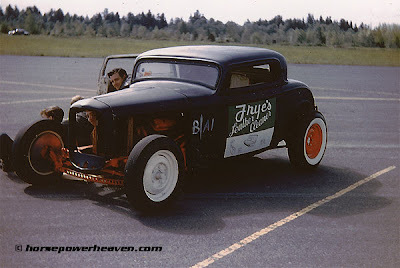 Again from Spanaway Speedway. This time the midgets. Super modifieds down at Spanaway Speedway in 1983. The feature was won by Kamloops driver Marty White. Been jumping around, methodically mind you, from year to year trying to answer a few questions while also finding things I didn't know were there. So a few posts worth of clippings. This one featuring Victoria's Billy Hitchcox winning a NASCAR late model sportsman race at Tri City Speedway in 1982. 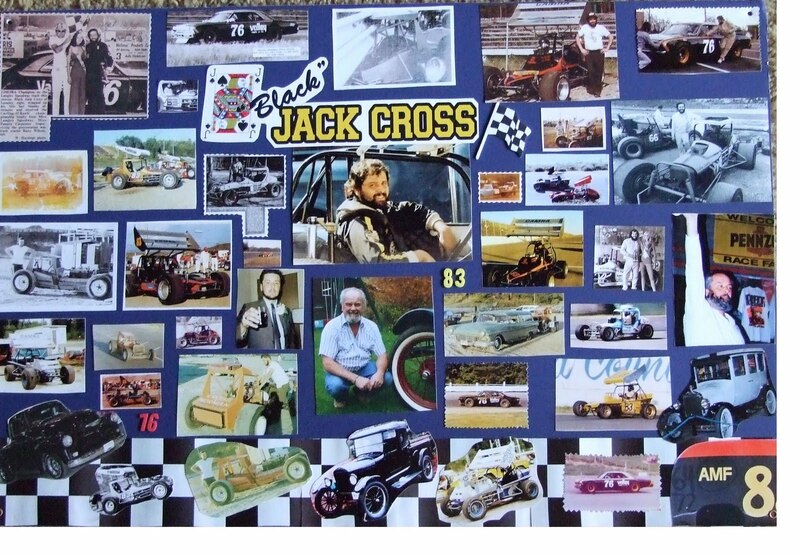 Over the past few months three Greater Vancouver Motorsport Pioneers have passed away. 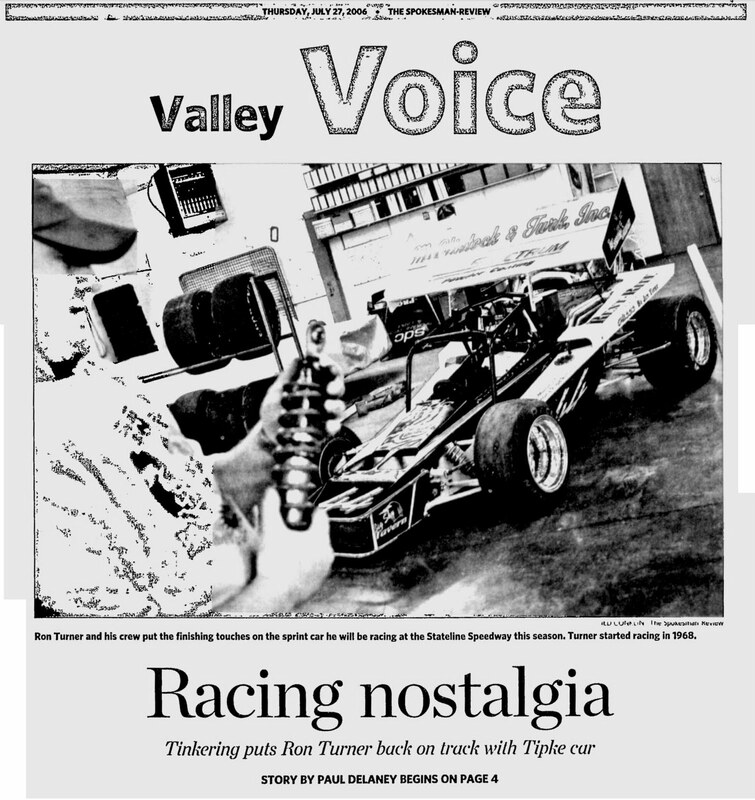 All contributed to the growth and continuation of motorsport in the Greater Vancouver area. They will be missed. 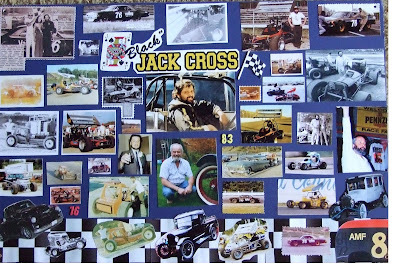 One of the things the Greater Vancouver Motorsport Pioneer Society likes to do is include some sort of display panel of each inductee. This really only started around 2003/4 so there are major omissions and gaps. Anyway, these aren't perfect but they can be fun. The ones I do are pretty basic so I'll include two done by the inductees themselves. Bob Nottingham and Jack Cross. Photos from the 1961 Edmonton Gold Cup program. Cars would travel from near and far to try for the money. Hearing some good news from and about Norm Ellefson. I'll wait for the official announcement but here's one of his early big wins up in Edmonton. 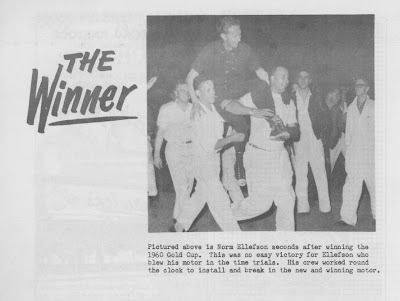 The Gold Cup of 1960. The Seattle PBS station has played a documentary on the Alaska Yukon Pacific Exhibition of 1909 a few times. It features, as part of the story and the exhibition, a cross country automobile race from New York to Seattle. 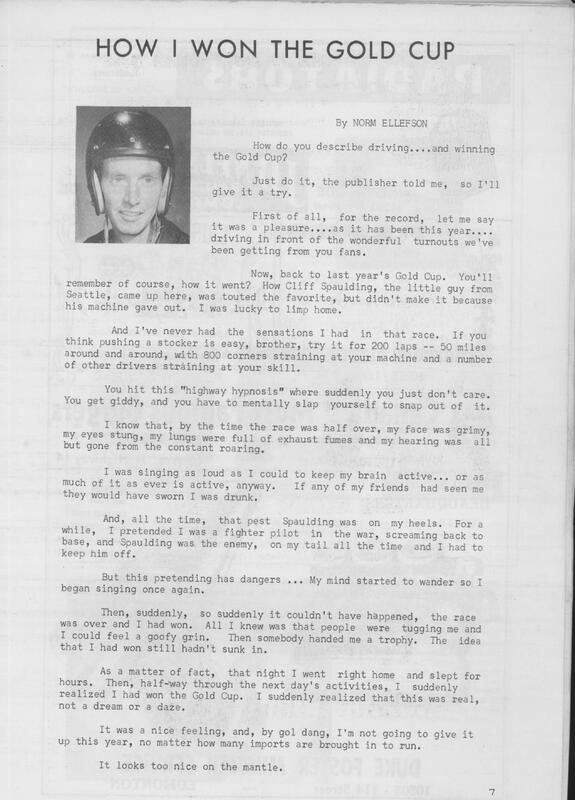 Came across the 1959 story in the Tri City Herald. And some additional online info. An overview article of the race by the UW. 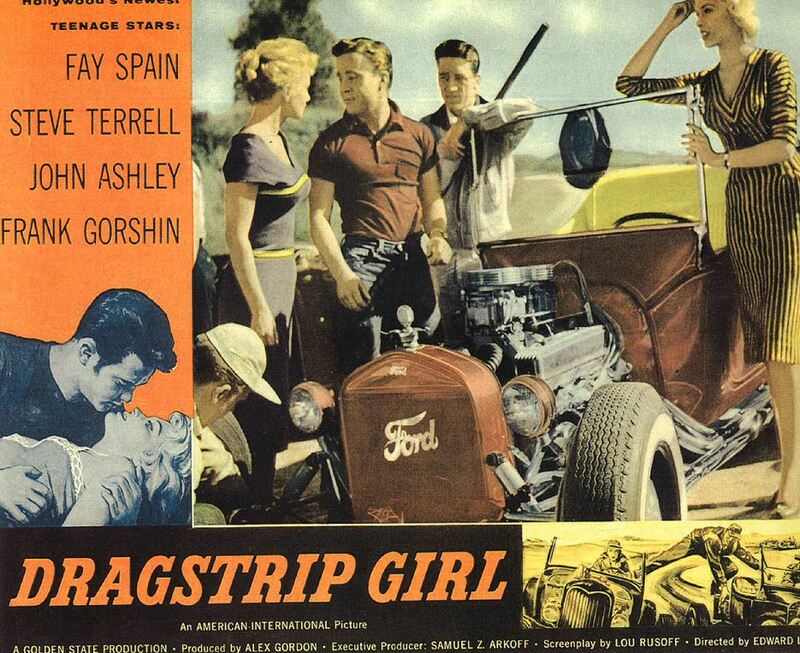 And a look at the cross country race from the Ford No. 1 race car. Another result. And a photo of this Lew Conn and his dragster. From Bowers Field (Kittatas County Airport?) near Ellensburg, WA. 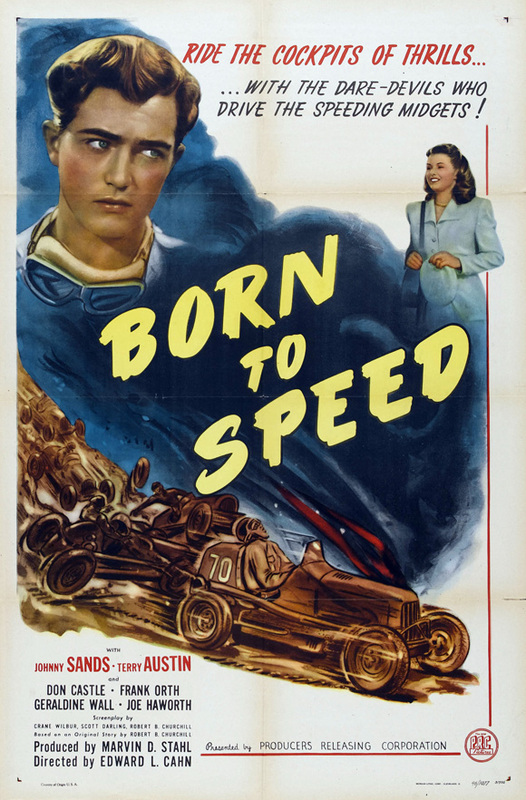 Lew Conn seems to have been the hot shot racer in that area at that time. Came across this while looking for something else. One clipping from the Tri City Herald (1959) and the Ellensburg Record (1957).